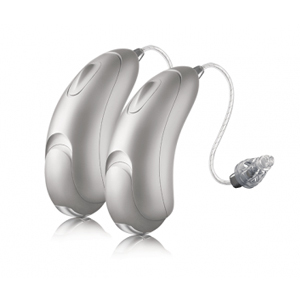 The Unitron Moxi All Rechargeable 500 hearing aid is the entry-level device of the product family with the latest platform from Unitrocn that creates best conversation experiences for the wearer. The hearing aid connects to any mobile device including iPhones, Android mobile devices via Bluetooth. The device uses a special Unitron battery door, rechargeable batteries together with a charging case that makes the device a rechargeable hearing aid.